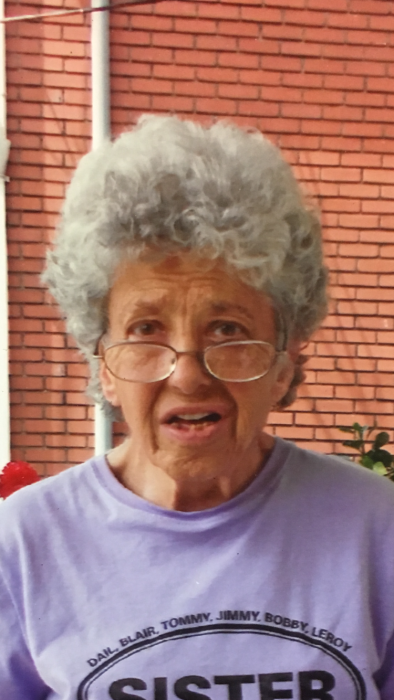 Obituary for Betty Eileen Fennell | John Syka Funeral Home, Inc.
Betty Eileen Fennell, 75 of Ambridge, passed away Monday, April 2, 2018 in Heritage Valley Health System, Sewickley. She was born July 5, 1942, in Manor Twp., a daughter of the late Blair and Mary Genevieve Binder Fennell. She was a employee of the Allegheny Country Club for 35 years, a member of Curves and the circle of friends. Surviving are 7 brothers Tom, Jimmy, Bobby (Sandy) Fennell, Leroy (Carla) Fennell, Lanny, Larry (Barb) Fennell, Ron (Cathy) Fennell, 3 sisters Linda Massey and good friend Sharon Fairchild, Janice (Rick) Ferment, Diana (Donald) Steines, numerous nieces & nephews, and her 4 legged companion Peanut. Preceding her in death in addition to her parents were 2 brothers Dale & Blair Fennell. Friends will be received on Thursday from 4-6 P.M. in the John Syka Funeral Home, Inc., 833 Kennedy Drive, Ambridge, from where a prayer will be offered on Friday at 10:00 A.M.